Greater MetroWest CARES, the Committee Addressing Resources for Seniors, is coordinated by the Jewish Federation of Greater MetroWest NJ and brings together leaders from Greater MetroWest agencies to promote independence and support vitality among older adults. Throughout the year, Greater MetroWest CARES agencies have the opportunity to address critical eldercare issues in this column. This month’s article on overnight travel is presented by the JCC MetroWest. With no worries about taking time off from work or wondering who will watch the kids, retirement can be a fabulous time to travel. Many have put off the prospect of seeing the world in favor of raising families or saving to put children or grandchildren through college. With time on their hands and some disposable income, travel in the later years can be more, not less, accessible. 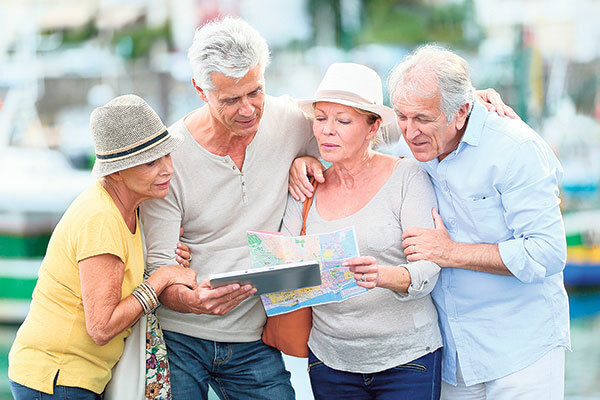 For those who have been fortunate enough to have traveled extensively, travel in retirement can be a chance to revisit favorite destinations or a chance to explore new corners of the country or the world. For some, it can be a “bucket list” trip, the desire to travel to or see sights always dreamed of though not yet fulfilled. Whatever the reasons for wanting to travel, retirement is a great time to make the journey. For some, though, travel in retirement can be a daunting prospect. From being on hold forever with an airline, to navigating the Internet for the best hotel deal, or figuring out how to best lay the course for optimal sightseeing, many give up the dream of travel before they even start. For these folks, group travel or a tour may be the best option. Many organizations and agencies in the community offer seniors the option of travel without the hassle or headache. In many instances, all one needs to do is pack. Virtually everything else is well planned, organized and orchestrated, down to the last detail, including transportation, accommodations, meals, excursions, taxes, and tips. It is almost like Club Med for seniors. For those who find details overwhelming, group travel is the way to go. Those who are single seniors may be reluctant to travel alone. However, traveling with a group may be a fantastic opportunity to meet new people who share similar interests while realizing the desire to see new parts of the world. The comfort of a group may help some make their travel dreams come to fruition, while encouraging inclusiveness. Many agencies will even be able to make a shidduch and pair a single traveler with a roommate to help defray the cost of a trip, encouraging the companionship that comes with shared experiences. 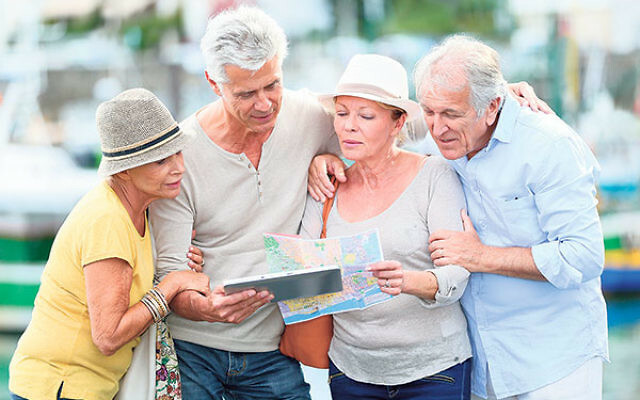 For the traveler who may be less able than before, to sprint through an airport to make a flight or take a walking tour of a fantastic city, group tours designed specifically for seniors offer not only a pace that is doable, but the added amenity of an experienced group leader who in many cases may be explicitly trained to work with the senior population. This may make the thought of travel in the later years a truly attainable goal. Opportunities for travel in retirement abound. Whether one is seeking an organized tour where almost everything is planned and scheduled, an educational, learning- based tour, or a more flexible option, where transportation and accommodations are included with the emphasis on self-directed leisure activities, the options are endless. From programs to assist seniors in becoming snowbirds, to week-long domestic or foreign tours, to senior volunteer programs in Israel, there are trips offered in our own backyard to meet most all of one’s senior travel needs.